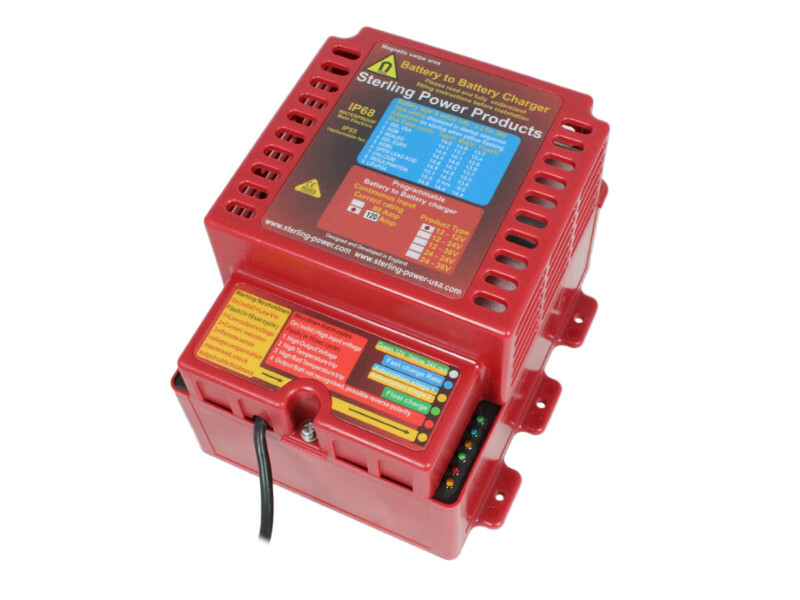 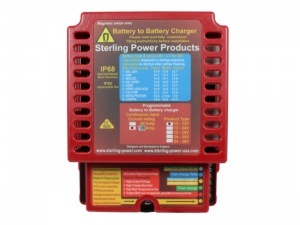 The Sterling 'Pro Batt Ultra' Waterproof 12V/12V 120A Battery-To-Battery charger offers fast, multi-stage charging of leisure/auxiliary batteries in automotive, marine and recreational vehicle applications. 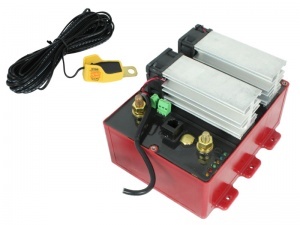 Simple and quick to install and configure, it offers a much deeper and faster re-charge than connecting directly to an alternator and is essential if you need to re-charge a second battery in a modern vehicle where the introduction of 'smart' alternators has made traditional voltage sensitive relays (VSRs) redundant (please see download section below for more info). 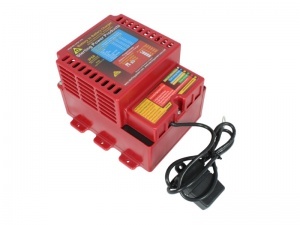 This charger is waterproof to IP68 with encapsulated electronics so is ideal for installation in engine compartments and other areas where moisture is present. Ingress Protection rating: IP68 (dust-tight and protected against full submersion). 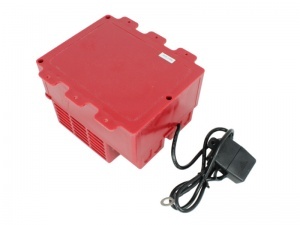 Fans are P55 and designed to be easily replaceable.